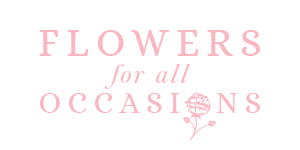 Here at Flowers for all Occasions we delight in wedding flowers. Constantly on the look our for the latest trends, the loveliest designs our goal is to create the most wonderful wedding flower ensemble to coordinate and compliment the theme for your big day. Every Wedding is of course different – which is why we ask to spend some time with you in order to select the prefect flower arrangements call us on 07776091030 to arrange a wedding consultation.